* US Army criticized for including violent Gears of War in its first Army Gaming Championships. 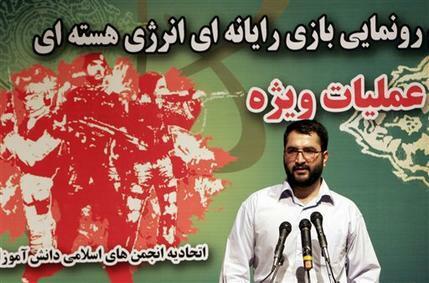 * Muqtada al Sadr is a gamer??? * Ian Bogost's Gamasutra editorial Designing for Tragedy. Relevant to the depiction of war? 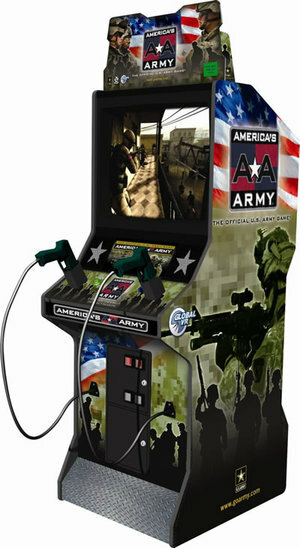 Seems that the America's Army brand is coming to arcades—after branching out into mobile, action figures, t-shirts, et cetera. Comment from one poster on Arcade Heroes blog: "I expect that these games will be heavily vandalized." For those of you reading along at home, check out pp. 140-5 of the book. In the 80s, military recruiters hit the arcades for some Last Starfighter style solicitation, so this is like full circle. Link: America’s Army Coming to Arcades « Arcade Heroes.